An updated look at the Dell calibration software as part of our UP2718Q review. A look at the X-rite / BenQ Palette Master software used for hardware calibration. 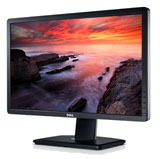 As featured in our BenQ PG2401PT monitor review. 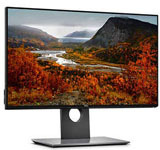 A look at Dell's own Color Calibration software allowing for hardware level calibration of their latest UltraSharp range of screens. This is part of our UP3214Q review (see Hardware Calibration section) and is the newer version of the software. An exclusive first review of the new 3-axis stand provided by Hazro. the stand offers a high end anodized aluminium design and offers a full range of tilt, height, swivel and rotate adjustments. How does it perform and how useable is it? A look at Samsung's NCE software as part of our detailed Samsung S27B970D review. Looking at the software settings, options, features and process. What does it offer, what is it missing? Having already reviewed the F model recently, here is an exclusive first review of the G model. A new 34" ultrawide screen from LG. With 120Hz refresh rate, new Nano IPS panel, wide gamut support and NVIDIA G-sync. Includes a direct comparison with the F model and performance. It's something we get asked about quite a lot - what is the best way to clean a screen? We take a look at a microfiber cleaning cloth from US based CTA products which is supposed to be a good option. What is it like and is this a good cleaning solution? A look at X-rites new i1 Solutions featuring their high end i1 Pro spectrophotometer device. We will test and review their new i1 Profiler software suite. How does it perform and what features and functionality does it offer? A large format 43" display aimed at the console gaming market. Featuring an Ultra HD resolution, fast response times, Adaptive Sync, full VESA Display HDR 1000 certification and a range of features to enhance your experience. Although not a complete stand-alone review, we have looked at the US SpectraView II software in some detail as part of our NEC PA271W-SV and PA271W reviews. What kind of results does this hardware level calibration software offer? 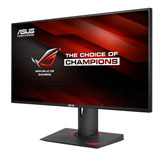 A detailed review of the new 27" 4K, 144Hz gaming screen from Asus. Featuring a 3840 x 2160 resolution, NVIDIA G-sync, a 384-zone FALD, top end HDR support and a massive range of extras and features to make this the ultimate gaming screen. Although not a complete stand-alone review, we have looked at the Euro SpectraView Profiler software in some detail as part of our NEC PA271W-SV and PA271W reviews. What kind of results does this calibration software offer? A review of the large 37.5" ultrawide screen in ViewSonic's professional VP range. 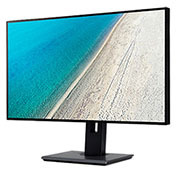 Offering a 3840 x 1600 IPS panel, factory calibration, hardware calibration, uniformity correction and a wide range of options and features for professional users and colour critical work. Although not a complete stand-alone review, we have looked at the customised wide gamut NEC i1 Display 2 colorimeter (MDSVSensor 2) in some detail as part of our NEC PA271W-SV review. What kind of results does this calibration device offer? A review of the new 27" gaming screen from LG with a 1080p resolution 240Hz TN Film panel. Also supporting AMD FreeSync, a 2ms G2G response time and added Motion Blur Reduction backlight system. A look at X-rite's high end spectrophotometer calibration hardware, as part of the i1 Extreme package. How does it perform with the i1 Match software and can it be easily paired with other popular software suites? A review of the new 31.5" gaming screen from LG. This model is based on a VA technology panel with 2560 x 1440 resolution, 5ms G2G response time, 144Hz native refresh rate, 165Hz overclocking feature and NVIDIA G-sync support. A look at the calibration and profiling software made by Integrated Color Corporation. How does the software work and what does it offer? How effective is it in calibrating a screen and improving your monitors performance for colour critical work? A review of the new 31.5" IPS screen from Philips, aimed primarily at HDR uses. 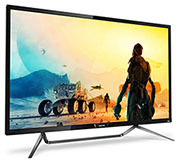 This model features a 2560 x 1440 resolution, 1200:1 contrast ratio and comes with a range of connections including USB type-C.
A look at the more basic and cheaper calibration package from LaCie. How does it differ to the Pro package? Is it still capable of producing good results? 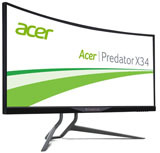 A detailed look at the new 31.5" IPS screen from Acer in their ProDesigner series. Featuring an Ultra HD 3840 x 2160 resolution, wide colour gamut support and a wide range of options for semi professional design and colour work. An exclusive first review of the new ROG Strix XG35VQ gaming screen from Asus. 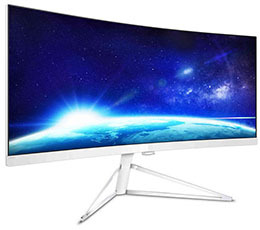 This model is 35" in size with an ultrawide format and full 1440p resolution. It has a VA panel and offers support for AMD FreeSync, as well as having an added ELMB blur reduction backlight system. A look at this popular and cost effective calibration solution. 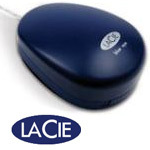 How does it compare with the Eye One and LaCie devices? Does it do a good job of improving colour accuracy and settings? A detailed review of the new 34" ultrawide IPS gaming screen from Dell. Part of their Alienware branded range, this model features a native 100Hz refresh rate and 120Hz overclocking feature. Includes comparisons with other popular ultrawide gaming screens throughout. Also known as the Gretag Eye One Display 2, this hardware calibration device comes at a reasonable price. How does its software perform in practice and what features does the colorimeter offer? A detailed review of the new 31.5" sized CHG70 gaming screen from Samsung. Featuring a curved VA panel with 1440p resolution, 144Hz native refresh rate, FreeSync 2, HDR support and a strobed backlight. A popular and affordable hardware colorimeter device from Colorvision, capable of calibrating a display and creating ICC profiles. How does it compare with more expensive colorimeters and how reliable is it at improving colour accuracy? A look at the new ultrawide 34" screen from Philips, featuring a 3440 x 1440 resolution Samsung SVA panel and support for 100Hz refresh rate. Also including FreeSync and a range of extra features for general uses. A look at the popular hardware colorimeter device from LaCie. We take a look at the hardware, LaCie's software suite and the results achievable with such a device. DeltaE results are compared before and after calibration on three test monitors including the Dell 2405FPW, Samsung SM205BW and NEC LCD20WGX2. A full and detailed review of the new UltraSharp Premium display from Dell, now featuring a true HDR experience. 27" with Ultra HD resolution, wide gamut and hardware calibration. HDR conforming to true HDR standards and with a 384-zone local dimming backlight. Now updated with more HDR testing. A detailed review of the professional grade screen from ViewSonic. 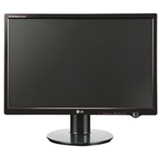 This 27" IPS screen features factory calibration, hardware calibration and uniformity correction features. A detailed look at the 35" ultra-wide gaming screen from AOC. With a 3440 x 1440 resolution VA panel and a native 100Hz refresh rate. This screen also has NVIDIA G-sync and a range of gaming extras. An exclusive first review of the first 240Hz gaming screen from Asus, part of their popular ROG Swift range. With NVIDIA G-sync and ULMB support included. An exclusive first review of the first 240Hz refresh rate gaming screen to hit the market. Combined with a 1ms response time and FreeSync support. A detailed review of the first high refresh rate IPS panel from LG.Display, offering native 144Hz support combined with FreeSync and an added blur reduction mode. An exclusive first in depth review of the new VA-based Z271 from Acer. With a 1920 x 1080 VA panel, G-sync support and 144Hz refresh rate. A full review of the H version of the new 24" screen from Dell. We will compare it with the already tested U2417HJ version as well as the old U2414H it replaces. A full review of the new 24" gaming screen from Asus, featuring a 1ms G2G response time, 144Hz refresh rate and Adaptive Sync support. A detailed review of the new UltraSharp 27" model from Dell, replacing the U2715H before it. A full comparison between the old and new model included. A full review of the updated UltraSharp screen from Dell in the 24" space. A comparison of all 3 versions of this screen and with the old U2414H model. 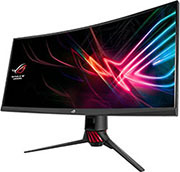 A full review of the latest Republic of Gamers monitor from Asus, this time with a 34" IPS ultra-wide screen, G-sync support and 100Hz overclocked refresh rate. A detailed look at the Ultra HD 4K gaming display from Acer, with an IPS panel and G-sync support. How does it compare to other gaming IPS screens? A full review of the new Foris gaming screen from Eizo, with 144Hz high refresh rate IPS panel, FreeSync, Blur Reduction and plenty of interesting extras. A detailed review of the massive new gaming screen from Acer. With a 35" ultra-wide screen and curved format, NVIDIA G-sync, ULMB and 200Hz overclocked refresh rate. A full detailed review of the first major gaming screen from Dell. 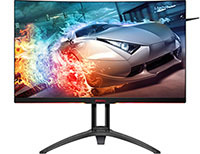 With a 2560 x 1440 TN Film panel, 1ms response time, 144Hz refresh rate and G-sync support. A full in depth and detailed look at the new IPS ROG Swift from Asus. Combining all the features and design we loved from the PG278Q, now with a high refresh rate IPS panel. Comparisons throughout with the PG278Q. An exclusive first review of the new monster gaming screen from Acer. With 34" ultra-wide format, NVIDIA G-sync support and 100Hz overclocked refresh rate. An exclusive review of Hazro's new 27" glossy coated display. With a design like the Apple displays, 2560 x 1440 resolution, IPS panel and multiple video inputs. A detailed look at ViewSonic's latest 27" Professional series VP display, now with Ultra HD 4K resolution. How does it compare with the older VP models? A detailed look at a new Korean manufacturer and their 27" 1440p IPS display. With a very low retail cost, how does it compare to more mainstream models? An exclusive first full review of the new IPS gaming screen from Asus, with 144Hz refresh rate and FreeSync support. Does this offer another impressive IPS gaming experience and how does it compare with the competition? A detailed review of the new FreeSync enabled gaming screen from Acer. With 1ms response time and 144Hz refresh rate. How does it compare with other recent gaming screens? A detailed look at the first FreeSync enabled screen we have tested. The new 1440p resolution gaming display from BenQ, with 1ms response time, 144Hz and added Blur Reduction mode. A detailed look at Dell's new 34" curved ultra-wide display. Featuring an IPS panel and 3440 x 1440 resolution. How does it compare with flat 34" models we've seen and other recent Dell UltraSharp range models? An exclusive first review of the exciting new gaming screen from Acer, featuring the World's first 144Hz IPS-type panel, G-sync and ULMB support. Is this the new king of gaming screens? An exclusive first review of the new 25" UltraSharp screen from Dell. 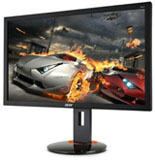 Offering an attractive price point and high 2560 x 1440 resolution in a new screen size. A detailed look at the 32" AMVA 2560 x 1440 screen from QNIX. 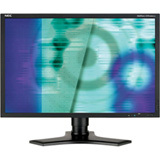 Based on the same panel as other popular 32" models but at a very low price. How does it perform and are any sacrifices made? An in depth review of the 16:10 aspect ratio EV2455. A natural rival to the Dell U2415 and offering a very similar spec and feature set to the Eizo EV2450 model. An in depth review of Dell's new 27" 1440 IPS display. This model replaces the popular U2713HM so we will compare the two in detail. An exclusive first detailed look at the massive 40" screen from Philips, with Quad HD resolution and a whole host of impressive features. An interesting option as a TV/desktop monitor combo. A full detailed look at Eizo's new 16:9 format EV2450 display. A rival to Dell's U2414H but with some additional features and extras. An exclusive first detailed review of the recent GW2765HT from BenQ. With an AHVA panel and good all-round spec. How does it perform and is this a good all-round 27" model to consider? An exclusive first detailed look at Dell's new 24" 16:10 UltraSharp IPS monitor. Replacing the U2412M and following the same features and design as the popular U2414H. A look at LG's massive 34" screen with ultra-wide 21:9 aspect ratio. It features an IPS panel and large 3440 x 1440 resolution, hardware calibration support and a wealth of extras. A detailed review of the 4k resolution screen from Samsung. Featuring 60Hz support and a 1ms response time. Affordable 4k screens are finally here, how do they perform? A full in depth and detailed look at the new gaming screen from Asus. Featuring the Worlds first 1440p 144Hz panel, NVIDIA G-sync and a new motion blur reduction backlight. An in depth review of AOC's 27" 2560 x 1440 resolution PLS display. 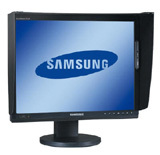 Comparisons with other popular 27" models and thorough testing included. 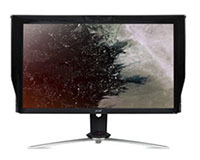 An in depth look at Eizo's 24" EV series screen. Designed with ergonomic and economic features in mind and offering a strong all round spec and rare 16:10 aspect ratio IPS panel. An in depth look at Eizo's 27" EV series screen. Designed with ergonomic and economic features in mind and offering a very good all round spec. An exclusive first look at the massive new 32" model from BenQ, featuring the first 2560 x 1440 res AMVA panel. This model also has a huge range of features and extras. An in depth review of the Korean monitor boasting several special features, an AHVA panel and all at a low cost. An in depth review of the semi-professional grade screen from ViewSonic with factory calibration and a wide gamut backlight. Also a comparison to the VP2770-LED display. An exclusive first review of the new XL series gaming monitor from BenQ. Including a new Blur Reduction feature and a whole host of gaming extras. 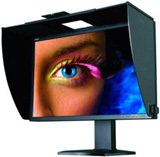 An exclusive first detailed review of the new ProGraphics monitor from BenQ. With a wide gamut IPS panel, hardware calibration and a wide range of high end features. A full in depth review of the new U-series screen from Dell, featuring a new ultra-thin bezel design and IPS panel. Comparison with the P2414H included. An exclusive first review of the massive new UltraSharp screen from Dell, featuring a 3840 x 2160 4k resolution, wide gamut and hardware calibration. An in depth look at the exciting new gamers screen from Eizo. Featuring the first 120Hz refresh rate VA panel and an additional Turbo 240 motion blur reduction backlight system. An exclusive first look at the new 27" P series screen from Dell - now featuring a PLS panel. How does it compare to the smaller P2414H already reviewed? An exclusive first look at the new 27" screen from BenQ. Their first venture into 2560 x 1440 resolution and the arrival of a new AHVA panel technology. An exclusive first look at the new 23.8" P series screen from Dell - now featuring an IPS panel. How does it compare to the recent UltraSharp models? Also known as the Monoprice 27" IPS Zero-G. A full review of this low cost, glossy coated, high resolution, IPS screen. A look at the 24" standard gamut, 16:10 aspect PA248Q and PA248QJ screens. Aimed at colour critical work mainly, but with all-round performance of IPS technology. A full review of the new GW series 27" screen from BenQ. Featuring an AMVA panel, and flicker free LED backlighting. A look at the large 30" Korean screen available at a low cost, and now supplied with proper after sales warranty and support. 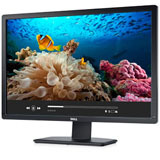 The new professional grade screen from Dell replacing the U3011. 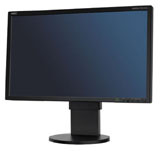 The largest of their range offering hardware calibration, wide gamut backlighting and new features. A look at the gamer-orientated 27" screen from Asus, boasting a fast response time and support for up to 144Hz refresh rates. 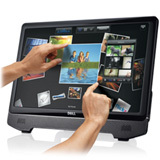 The new professional grade screen from Dell replacing the U2410. With hardware calibration, wide gamut and new features. The new ultra-wide screen display featuring a 21:9 aspect ratio. Wide range of features and extras available in an interesting new format. 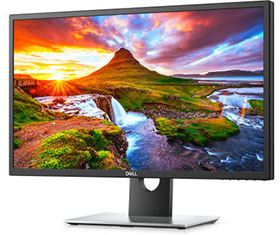 The new professional-orientated wide gamut screen from Dell, replacing the U2711. Hardware calibration and other new features included. How does it compare to its predecessor and what about to the U2713HM model? An in depth look at the updated 2012 version of the 27" screen from HP. Now featuring a slightly different panel and a new lighter AG coating. How does it compare to the original version and what has changed? An in depth look at the Studio series 27" screen from Dell. This model features a glossy edge-to-edge glass coating and a pretty decent set of features and options. How does it perform in our tests? An exclusive first review of the new 27" 1920 resolution AH-IPS screen from AOC. A winner of an iF design award, and the first lower res IPS panel in this size we have tested. How does this screen perform in our tests? An exclusive first review of the new S-series screen from Dell. 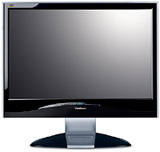 This 24" model offers an AMVA panel and a glossy screen coating with an edge-to-edge design. How does the new model perform in our tests? 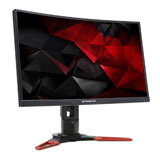 An exclusive first review of the new professional range 27" monitor from ViewSonic. It boasts a high spec and a wide range of features. How does it perform in our tests and how does it compare to the popular 27" models out there? 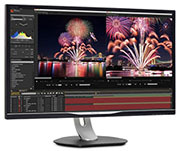 An exclusive first review of the new professional grade 23" monitor from NEC. This is the replacement to the PA231W model, bringing LED backlighting and the latest generation of AH-IPS panel. How does it compare? 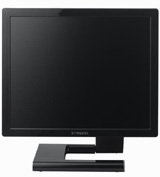 A full detailed review of the new SB970 monitor from Samsung. 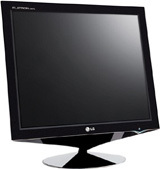 This screen is a professional grade monitor with a premium design and some high end features. 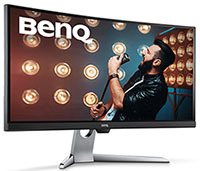 How does it perform and compare to other popular 27" models? 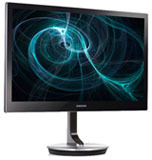 A full detailed review of the new GW series monitor from BenQ, using AMVA and LED technology. How does it compare with the 24" model and other competing 27" screens? An exclusive first review of the new 1ms rated 27" screen from Iiyama with 120Hz support. How does it perform in games and does it live up to its specs? Is this a good choice for gamers? An exclusive first review of the new low cost 27" IPS screen available in the UK. This screen features a glossy panel coating, and has LED backlighting and a massive resolution. How does it compare to its competition? A look at the new 27" AMVA based screen from Philips. It is a low cost alternative to TN Film models in this sector. How does it compare and what pros and cons does the use of AMVA technology bring? A comprehensive review of the professional grade FlexScan monitor from Eizo, offering a high end range of features and options. How does it compare to competing models and what kind of performance can it offer? A review of Hazro's latest 30" model offering a huge screen and high resolution at a very low cost. This new wide gamut, 10-bit model offers an interesting option at this size. How does it perform and how does it compare to its predecessors? A look at the new gaming screen from BenQ, designed for gamers, by gamers. This screen offers 120Hz and 3D support and a whole host of gaming options and features. Is it an improvement over the older XL2410T and how does it perform all round? A look at the 27" multimedia orientated screen from BenQ with an AMVA panel and LED backlighting. How does it compare to its smaller relatives and can it compete with the popular IPS models in this market? A look at the interesting arrival of PLS panel technology to the market in this 27" screen from Samsung. How does the screen perform and what is PLS technology like? How does it compare with IPS? An exclusive first look at the updated 24" IPS and LED model from HP. A replacement to the very popular ZR24W model. How does this new model perform? What has changed? We will also make a direct comparison with the old ZR24W model. An exclusive first look at the updated 21.5" IPS and LED model from Dell. A replacement to the very popular U2211H model. How does this new model perform? What has changed? We will also make a direct comparison with the old U2211H model. A look at AOC's ultra-thin and uniquely designed IPS monitor. 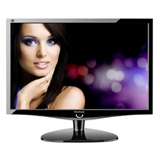 This model has W-LED backlighting and offers an attractive solution in the 23" sector. How does it perform in our tests and compare with its competition? 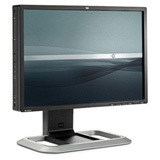 An exclusive first look at the new 27" monitor in the updated ZR range of displays from HP. We have already tested the smaller 21.5" model, but how does this compare? 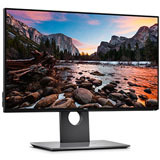 Is it a good competitor to the other 27" screens in the market? 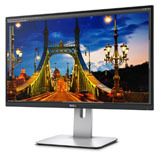 An exclusive first look at the new 21.5" IPS monitor from HP in their ZR range. This new screen offers a great range of features, but how does it perform in our tests? Does it live up to the performance of other popular HP displays? An exclusive first look at the new 24" IPS screen from NEC. A new addition to their Professional range of displays, this time offering a standard colour gamut. How does it perform in our tests? An in depth and thorough look at Dell's new 23" IPS and W-LED display. A direct replacement for the popular U2311H, how does this new model compare? What has changed and how does it perform? A full review of NEC's new 'Office Cool' screen. This model uses the latest cPVA panel technology with LED backlighting. How does it perform and does it live up to its name? 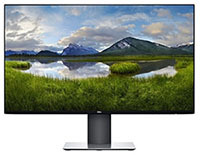 A full in depth look at the new 24" IPS and LED screen from Dell in their UltraSharp range. How does the new model perform and how does it compare to the Dell U2410 and competition? A complete look at LG's own IPS 23" display at a very good price. How does it compete with other popular models in this sector? How does it perform in practice and can it live up to its specs? A full review of the new Asus ML239H. 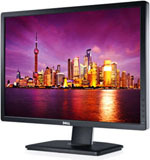 This 23" monitor combines IPS panel technology with W-LED backlighting. How does it perform in our tests and how does it compare with its competition? 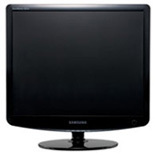 A look at Samsung's cPVA based 23" model. It may have been available for a little while but it does have some interesting features and specs. How does it perform and what is the cPVA panel technology like in practice? An exclusive first review of the eagerly anticipated HZ27WA and HZ27WC from Hazro. A compelling alternative to Apple's 27" Cinema Display, with W-LED backlighting, standard gamut and a glossy 27" panel. How does it perform in our tests? A look at Dell's new touch-screen compatible IPS monitor. The screen offers a unique design, nice range of features and even a glossy panel coating. How does it perform as a standalone monitor and how is the touch screen support? A full review of NEC's replacement for the popular EA231 monitor. The new screen now uses W-LED backlighting as well, but what advantages does this bring? How does the new model perform and how does it compare to its predecessor? 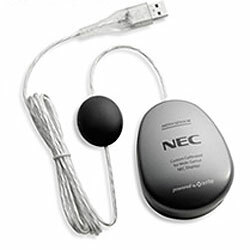 A look at NEC's professional grade SpectraView Reference version of the PA271W screen. What benefits does this SV edition bring? We will also take a look at the updated SV software packages and NEC's own wide-gamut colorimeter device. A full review of BenQ's new 120Hz gaming monitor. Designed in collaboration with professional gamers, for gamers. How does it perform for gaming, and in other uses if you want to do more than just game? An exclusive look at the new 27" IPS screen from Hazro. 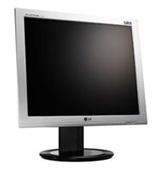 This model offers a wide colour gamut, CCFL backlight and a 10-bit colour depth. How does it perform considering its excellent price point? One of the first looks at the new BenQ screen with VA panel technology and LED backlighting. What can this technology offer you and how does the screen perform? We have already reviewed the newer U3011 in full, but how does this older 30" model compare? Does it offer a good performance in this sector and is it still worth a look? The first look at NEC's new professional grade model in the 23" market. We have already looked at the other PA series screens released, how does this compare? Is the high price point justified? A full review of the new 30" screen from Dell. An upgraded model with some of the new features of the 2010 range including factory calibration and an IPS panel. We will also directly compare the screen with the old 3008WFP model. An exclusive look at the new 30" IPS screen from Hazro. An upgraded model with some new features and a very attractive price point. How does it perform and have Hazro improved it since the original version was released? We take an in depth look at NEC's latest professional grade PA screen. 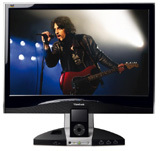 This big 27" screen offers a massive range of features and technologies. We also look at the European and USA SpectraView software in detail. We take a look at the World's first 1ms rated monitor! This big 27" screen offers a fairly decent spec, but how does it perform in our tests? Is this the best gaming monitor in the market and can it live up to its bold claims? Thanks to reader demand, an in depth review of the Viewsonic VP2365wb. 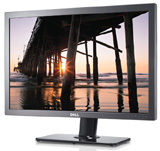 This 23" IPS model is a direct competitor to the popular NEC and Dell models. How does it perform in our tests? Is it a good choice instead of the other models in this size range? One of the first looks at Dell's new 21.5" IPS model. Following on from the release of the 23" model, this smaller screen offers the same features and specs in a slightly smaller size. How does it perform in our tests and can it compete with its bigger brother? One of the first looks at Dell's new 23" IPS model. The U2311H follows in the footsteps of the very popular U2410 and is attracting a lot of attention. How does it perform, and how does it compare with the other models in this size range? One of the first looks at the new IPS based screen from HP. A rare combination of IPS panel technology and standard gamut backlighting attracting a lot of attention. Does this screen offer good performance and how does it compare with its competition? One of the first looks at NEC's new high end screen which is already attracting a lot of attention. 10-bit p-IPS panel and a wide range of colour performance options. How does it perform in our tests and can it justify a high price point and status? Full review of Asus's new MS series screen. A unique design and ultra-slim profile is offered here. How does the screen perform in our tests and what are its strengths and weaknesses? 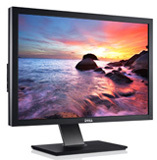 A look at the new 27" screen from Dell, following on from the recent U2410 model. The new screen offers a massive resolution and IPS panel technology. How does it perform and does it have any issues? NEC release the first 23" IPS based model and we have it in for testing. Does the panel perform as you would hope? How does the screen compare with the popular Dell and HP models in the market? Dell bring us their first H-IPS based 24" model, and the latest in their popular range. How does the new panel technology perform? Are the other new features useful and how does it compete with other popular 24" models? 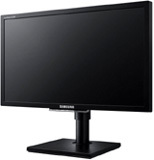 The new gamers TFT from Samsung comes to the market, offering a true 120Hz refresh rate support. How does this technology perform in practice? Is this the number one choice for gamers in the TFT market? This popular screen aimed at colour enthusiasts has finally been released in the UK and Europe. How does it perfom in our tests, and does it offer a good all round performance people are looking for from a 24" IPS based model? This new screen from NEC is marketed as the ultimate multimedia screen. It offers a massive range of features, options and extras. How does it perform in practice, and what do these features offer? A review of one of the few non-TN Film based models in the 22" market. The LP2275w is S-PVA based and offers an impressive range of features and specs. How does it perform and is it the best 22" model around? A new IPS based screen in the 24" sector, already picking up a lot of attention. How does the new panel perform in practice? Can it offer top notch performance to go along with the impressive spec, functions and features? Hazro's new and updated "i" version of the popular HZ26W. The screen has many new features, but how does it perform in practice? Have they managed to improve things in our tests? Hazro's massive 30" screen comes in for a thorough testing. How does it compare with the other models in their range? Does the S-IPS panel perform well and would it be a good buy for a large screen? A look at the high end Samsung 24" offering. This screen is the first to use their Motion Picture Acceleration (MPA) technology for reducing perceived motion blur. How does it work? Does it offer any improvements? A look at the new 24" model from Dell. What changes, updates and improvements are there since the 2407? Are the early reported issues anything to worry about? We will do a full analysis here!! A look at the new 22" model from LG, offering some high end specs including a 100% NTSC colour gamut and 2ms G2G response time. Does this screen offer the gaming performance you might hope for? Is the extended colour gamut useful? How does the larger 26" version compare with the HZ24W screen we tested in December? Can the S-IPS panel offer the all round performance people want? A low cost offering from Iiyama in the 22" market. Modest design and features, but how does it perform in practice? Is it worth a look, or is it really lacking because of the price? A new name in monitors, and a new 24" S-IPS based screen. Can it offer good all round performance users are looking for? How does it compare with the smaller S-IPS screens available? A look at a high end colour enthusiast screen featuring an LED backlight unit, 114% NTSC gamut and AMVA panel technology. What kind of colour rendering does it offer? Is it good in other areas too? The release of this screen represents one of the first TN Film panels to enter the 24" sector. While the screen comes at a competitive price, can it compete with the other established screens at this size in terms of features and performance? An updated HighColor model of the very popular 2407WFP screen. Does this update mark some improvements in performance? Are there ghosting issues with the screen at all? 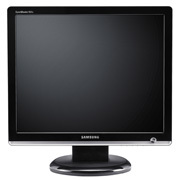 An attractively design 19" model from Samsung, with an updated dynamic contrast ratio. Will this screen's reasonably average specs and features be enough to entice prospective buyers? How does it perform in practice? One of the first displays in the market to utilise enhanced CCFL backlighting, and offer 97% coverage of the NTSC colour gamut space. Combined with an attractive design and gaming-standard spec, the SM931C seems a decent choice in the 19" market. How does it fare? 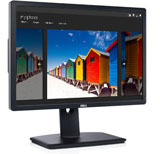 A large 24" multimedia orientated display from Viewsonic. Offering a high HD resolution, MVA panel technology, a decent spec and a wide range of inputs to boot. How does it fair in practice? Is anything missing? A very well priced screen from Acer. Basic functionality and limited features, but how does the screen perform in practice? Is it worth investing in and making the most of its attractive price tag? A uniquely designed screen from Viewsonic incorporating iDock integration with Apple mp3 players. Large screen size and impressive features make this an interesting buy. How does it get on? Offering a unique design and impressive spec, the 971P is a rare PVA based 19" model. A close look at the screen especially focusing on the versatile stand design and unique features. We also take a look into the performance of the PVA panel, along with the packaged Samsung software suite. The new 19" model in LG's premium range. Featuring 4ms G2G response time, 2000:1 DFC contrast ratio and the same TN Film panel as their new 'Fantasy Series' models. A look at this impressive and attractive design as well as how it performs in practice. A look at the modest but well priced L1932P, aimed primarily at office and gaming users, but with some impressive features and functionality to offer. A close look at two of the well established 20"WS models in the market today, offering a choice of technology, performance, features and price to potential buyers. A comparison of both models performance in practice as well as detailed examination of strengths and weaknesses. An in depth review of the NEC LCD20WGX2, kindly provided by Igor Stankovic. Full and detailed analysis including pictures and tests. How does the screen perform in real use? Does it live up to its excellent spec? This was one of the first in depth reviews of this very popular screen. An in depth review of Dell's massive 2405FPW. Offering some incredible specs, a wealth of inputs and functionality and all offered at a comparatively good price. How does it perform in real use?